Get up to a $1,500 tax credit by purchasing qualifying Gorell products. Here at EON Roofing and Window, we believe in top-quality work and top-quality products, thats why we have partnered with Gorell Windows and Doors. 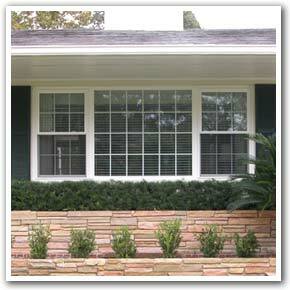 They have been in business since 1947 and pioneered the concept of the replacement window. Gorell's warranty is one of the best in the business, a lifetime 50/50 non-prorated Limited TRANSFERABLE warranty. 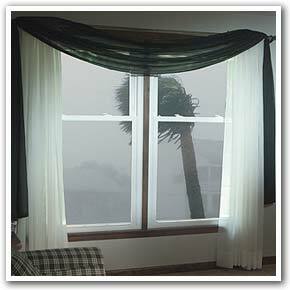 AIP hurricane impact replacement windows protect your home against airborne debris from strong winds, storms and other forms of violent weather. Gorell AIP hurricane replacement windows have passed ASTM E 1886-04/1996-04 tests and therefore provide Level "C" protection - up to 130 miles per hour. In a class of their own, these windows are as beautiful as they are durable. Their heavy-duty, multi-chambered frame and sash construction - and the thermal properties of the insulating glass system - also makes them highly energy efficient for greater home comfort and lower home energy consumption. The distinctive sculptured design of AIP double-hung and sliding hurricane windows will make your home more beautiful. You also have an array of finishes and other dazzling options to choose from to allow your windows to give your home a unique, personalized look. AIP double-hung windows offer your home protection against airborne debris from strong winds, storms and other forms of violent weather. All Gorell AIP double-hung windows feature Gorell's constant force balance system, which lets you open and close these windows with unbelievable ease. Both sashes tilt in for easy cleaning, and they also lock in place securely while tilted. The heavy-duty, multi-chambered frame and sash construction of these windows - and the thermal properties of the insulating glass system - also makes them highly energy efficient for greater home comfort and lower home energy consumption. The distinctive sculptured design of AIP double-hungs will make your home more beautiful. You also have an array of finishes and other dazzling options to choose from to allow your windows to give your home a unique, personalized look. AIP lift-out sliding windows offer your home protection against airborne debris from strong winds, storms and other forms of violent weather. In a class of their own, Gorell AIP lift-out sliders offer a practical choice for homeowners who prefer horizontally operating windows. 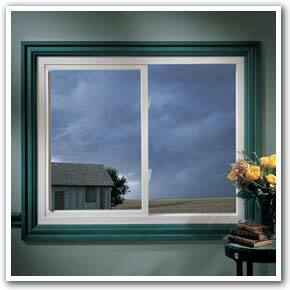 These windows open and close smoothly, and the sash can be easily lifted out for quick, simple cleaning. The heavy-duty, multi-chambered frame and sash construction of these windows - and the thermal properties of the insulating glass system - also makes them highly energy efficient for greater home comfort and lower home energy consumption. The distinctive sculptured design of AIP sliders will make your home more beautiful. You also have an array of finishes and other dazzling options to choose from to allow your windows to give your home a unique, personalized look. AIP picture windows offer your home protection against airborne debris from strong winds, storms and other forms of violent weather. AIP picture windows are likely the most airtight window you'll find because the glass is sealed directly to the window frame. Heavy-duty frame construction, PPG's Intercept spacer system and precision engineering make these windows even more energy efficient. The heavy-duty, multi-chambered frame and sash construction of these windows - and the thermal properties of the insulating glass system - also makes them highly energy efficient for greater home comfort and lower home energy consumption. The distinctive sculptured design of AIP picture windows will make your home more beautiful. You also have an array of finishes and other dazzling options to choose from to allow your windows to give your home a unique, personalized look. 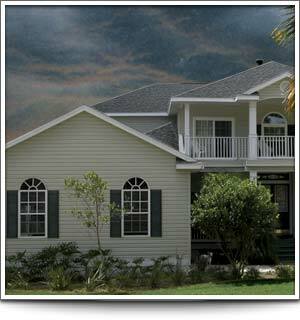 Ask about Gorell ENERGY STAR labeled vinyl windows. Practically every vinyl window made by Gorell incorporates one of our many high-performance glass systems with low-emissivity glass and argon or krypton or a blend of the two gases. These glass systems qualify our products for the ENERGY STAR label. Gorell ENERGY STAR labeled products make your home more comfortable and lower your energy costs! Lifetime on vinyl frames and sashes. 50 years covering seal failure of insulating glass AND glass breakage, including accidental breakage! 50 years on accessories and parts. Transferable to subsequent owners of your dwelling. For more details on this exceptional warranty, please see your local Gorell dealer.